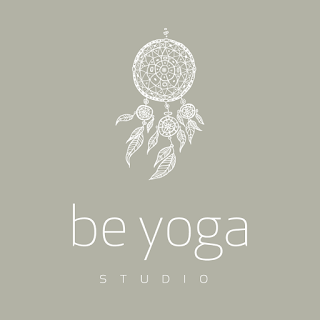 Barbro Andersen: Blogging is sharing, and sharing is caring. Blogging is sharing, and sharing is caring. Oh, my, this is just silly actually - but I don't think I ever posted about my little Care-project here on my blog. Just everywhere else, including that page in my menu up there! So, here it goes. What started it all was the time I wrote "Fashion Bloggers poop too!" I feel like a lot of people are forgetting about an important thing, and that's caring - or even more importantly: remembering to care. 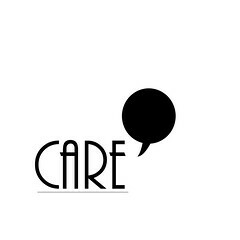 So, I created this Care project, which isn't really a project - but more of a statement. 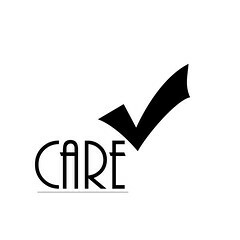 It's nothing complicated and the message is pretty simple: just care. Stand up to the bullies out there, be kind, share some love, respect each other, be yourself and always keep that dream alive! 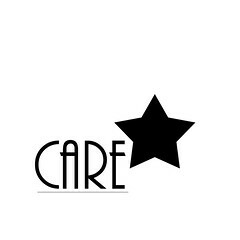 I tried coming up with all kinds of creative slogans for it as well; but Care seems to work just fine on its own. If not; you could think of it as “Collectively Against Racism Everywhere”- because sometimes bloggers are considered a special race of their own; especially fashion and style bloggers. Or, "Collectively Against Rankism Everywhere" (which can occur in any social hierarchy; anti-social social ones like blogging included). I have more. Yes, I do. "Cyber-bullies Are Real Enemies", "Cowards Already Rejected Eh", "Can Anyone Really Evolve", "Change All Realistic Expectations", "Change A Robot-infested Environment" and "Continue A Reliable Evolution". The last one feels like something I would say if I ever entered a beauty queen contest, but they all have the same message: CARE. I feel like I've already accomplished more than I could dream of when I made this little badge back in February, because my goal was just to get one person to care more - but a lot of people has already joined in, like: Some Kind of Style, Bella of The Citizen's Rosebud, My Heart Blogged, Desirée of Sharing Different Heartbeats, Berlin Hair Baby, Ara Style, Kara of Sprinkles in Springs, Trivia of Trivia Wonder, Giulia of The Smiley Bow, Aminta of Amintas fashion, Cate of Inkblot Photography, Natasha Nicole of Garage Gypsy, Sternenkatze of Miriyana, Courtney of Those Graces, Faye of All These Pretty Things, Fabienne Jach of The House in the Clouds, Jamillah of Made To Travel, Madison from Fashion Tales, Patricia of Memento vivere, Duckalicious , Veronica of Best of Palm Beach Consignment, Dorothee of Desperately Seeking Pegasé, Jessica of Enchanted Vintage Clothing, Ashley of Ashley 4 Emergy and Sanja of Shoes. Clothes. Make-up. So, if you too want to participate, just leave your comment on my care-page, and I'll link back to you by putting your name and blog up with everyone else's. 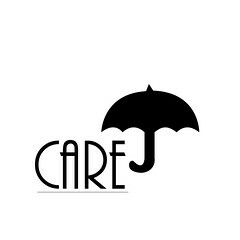 You most definitely do not have to link back or credit me or anything, just simply having the word care or one of these logos up on your site will probably spark something within someone.